Totana.net - The archaeological site of "Las Cabezuelas", present in the II International Congress "LEGATVM 2.0"
The archaeological site of "Las Cabezuelas", present in the II International Congress "LEGATVM 2.0"
The team of archaeologists who develops the works in the Cabezuelas de Totana field since 2014 has presented a summary of these in the "II International Congress of Musealization and Value Enhancement of Cultural Heritage .LEGATVM 2.0", held in the town of Daimiel (Ciudad Real) between October 16 and 19, according to sources from the Department of Archaeological Sites. 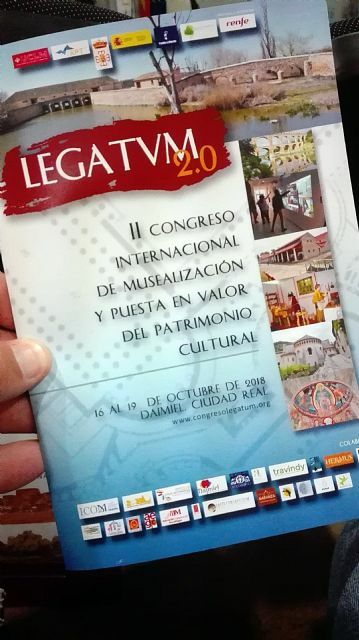 This was organized by the Laboratory of Archeology, Heritage and Emerging Technologies of the University of Castilla-La Mancha, in collaboration with the Municipality of Daimiel, and sponsored by the International Council of Museums (ICOM), the Institute of Cultural Heritage of Spain ( IPCE) of the Ministry of Culture, and the Regional Government of Castilla-La Mancha. 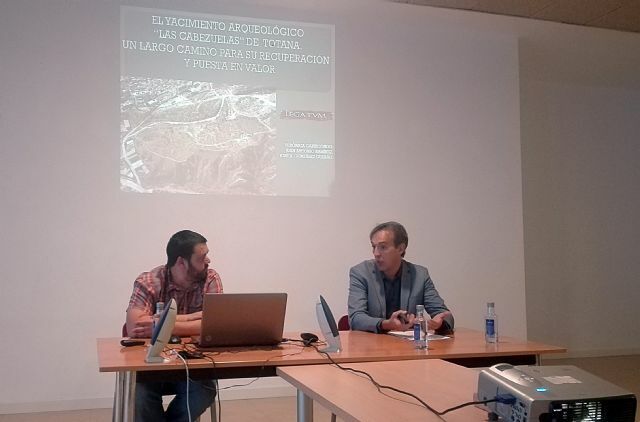 There, on Thursday 18th, the team of "Las Cabezuelas" presented the communication entitled "The archaeological site of Cabezuelas (Totana, Murcia), a long road to recovery and value". 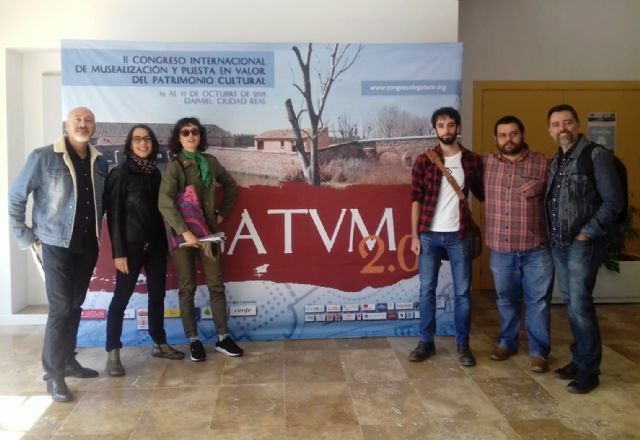 In it, in addition to exposing the work that has been done over the past five years, in campaigns of ten days thanks to a score of volunteers from the town as well as other places in the region (Murcia, Lorca, Alhama, Jumilla, etc.) and the progress of the musealization and value project that with the support of Totana City Council, is expected to develop in recent years, having as an unavoidable starting point, the acquisition of land by the municipality. The project is directed by archaeologists José Antonio González Guerao, Juan Antonio Ramírez Ã�guila and Verónica Carricondo Gázquez. The attendees were interested in the details of the project, its influence on the future development of Totana, as well as the motivation of the volunteers and the training offered to them. In the same congress, other papers were presented on the work of the Institute of Cultural Heritage of Spain, the Excellence Plan for archaeological parks and visitable sites of the Junta de Castilla-La Mancha, the recovery and valorization of Calatrava la Vieja, the textile conservation of the National Museum of the Theater, or the spectacular archaeological project of El Tigre-Itzamkanac, in Campeche, Mexico. From Cartagena a paper on the introduction of Heritage in Secondary Education was presented through an immersive virtual reality game, and there were also posters about the cave paintings of Peña Rubia de Caravaca. This consolidates a project that was born in 2017 with the vocation of being a meeting place and discussion of proposals and experiences on the enhancement of the archaeological heritage in various parts of the world, according to the councilor of the branch, Juan José Cánovas.